If you have been following the pricing trends of Bahria Town Karachi, you must have seen rises and falls several times over the past two and a half year. There are some properties which have gained some stable position and you don't see much fluctutation in prices there, especially initial blocks which are quite developed now and have higher instrinsic value unlike majority of other options which are yet to realize their worth. Bahria Town market soared in June and peaked in July this year, then there was silence after the imposition of new taxes by FBR. August and September have seen minimum purchase activity which has caused prices to go down further. Major decline was observed in prices of unballoted files including commercial plots, however not a single property type was left unperturbed. Average 125 SQY plots price decline ranges from 2 to 5 lacs across different precincts. Similarly, 250 SQY plots price decline ranges from 3 to 12 lacs, 500 SQY plots price decline ranges from 5 to 20 lacs. Bahria Homes and apartments have also experienced price decline of nearly 5 to 15 lacs across different locations. Major decline was seen in commercials, which ranges from 25 to 50 lacs. Golf City 500 and Sports City were already going negative, so further decline was observed in their prices despite continuous trading of sports city in the market. Recent balloting on 15th August added new precincts i.e. 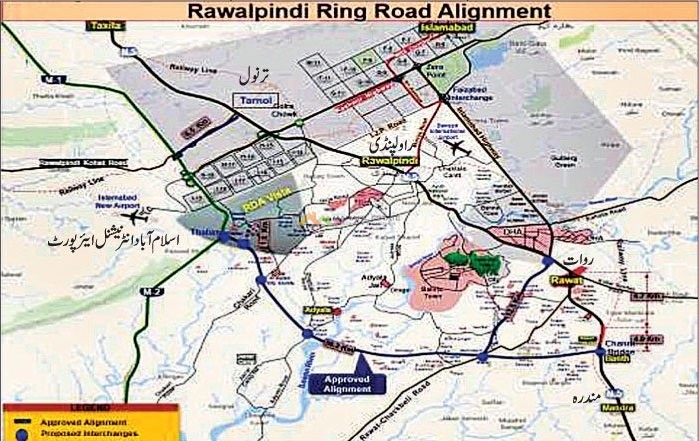 25A, 26A for 125 SQY plots, Precinct 32 for 250 SQY plots and Precinct 33 for 500 SQY plots. More plots were added in old precincts and also precinct 5 was launched. Maps of new plots/precincts are not available yet, however options have come out for sale which have added to the number of options available for sale with least demand. It is always recommended that one should do their purchases at the time when there are multiple options available in the market and least buyers are available. You are more likely to find best plots at minimum prices during downtime which utlimately results in better gains during the uptime. October comes with some positive signs for the market. We see less number of plots selling in market and there is slightly positive movement in prices. We can expect that certain properties will regain its value very soon and may render good profits to those who smartly invest during this slow phase. There are several options which can be considered for investment now at current prices for good gain including homes, apartments, commercials and residential plots.We will highlight some options which have higher instrinsic value and that are expected to give higher return. Best blocks to buy for residential plots are precinct 1, 4, 6, 8, 9, 10, 14, 15, 16, 17, 18. These are intial locations and mostly bigger and expensive plots, however prices are down nowadays so you can find best options at reasonable prices. If you have lower budget, you can go for 15A,15B, 27, 27A, 28, 29 and 30, i.e. area along main Jinnah Avenue will have higher value than anything else. Precinct 10 & 27 Villas can be considered, and also precinct 19 apartments are best to buy. For a limited budget, you can consider precinct 10, 15, 15a and 27 for 125 Square Yards plots, precinct 12 and precinct 30 for 250 square yards plot and precinct 27A and precinct 29 for 500 square yards plots. Bahria Heights is also good to buy and bahria apartments in precinct 19 will also give better return. Homes of precinct 10, 11 & 27 are also quite reasonable nowadays so you can go for these options also. Quaid Villas and Iqbal Villas have less juice left now, however after some residence is there, these options will have their peak value. If you have higher budget, old commercials are one of the best options to consider at current prices as profit potential is much bigger. Golf City may not give good return, however Sports City has potential to render some profit if purchased at current negative prices. Since majority of buyers seek small plots i.e. 125 & 250 sqy plots, you can put more money in these options and hold couple of good plots until you see good return, while remaining amount can be distributed in apartment and home. If you want to take some investment advice or need investment options, feel free to contact us for professional assistance.